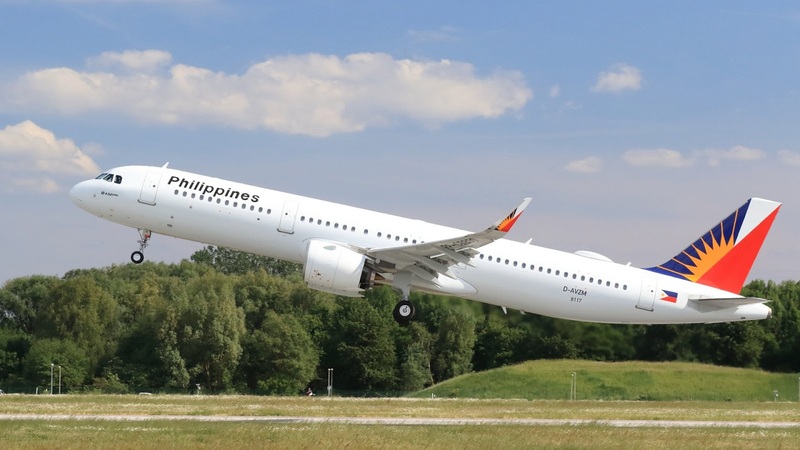 Philippine Airlines new A350-900 has completed its first flight from the Airbus assembly line in Toulouse, France. The flight marks the start of the final phase of the production process, leading to customer acceptance and delivery in the coming weeks. Philippine Airlines has ordered six A350-900s. The airline will use these aircraft on its premier long-haul services from Manila to destinations in North America and Europe. The A350-900 will join an existing Airbus fleet at Philippine Airlines that currently includes 26 A320 Family aircraft, 15 A330s and five A340s. The A350 XWB is an all-new family of mid-size wide-body long-haul airliners shaping the future of air travel. The A350 XWB features the latest aerodynamic design, carbon fibre fuselage and wings, plus new fuel-efficient Rolls-Royce engines. Together, these latest technologies translate into unrivalled levels of operational efficiency, with a 25 per cent reduction in fuel burn and emissions, and significantly lower maintenance costs. The A350 XWB features an Airspace cabin which, on top of the aircraft spaciousness and quietness, provides better ambience, design and services, contributing to superior levels of comfort and well-being, and setting new standards in terms of flight experience for all passengers. To date, Airbus has recorded a total of 847 firm orders for the A350 XWB from 44 customers worldwide, already making it one of the most successful widebody aircraft ever.